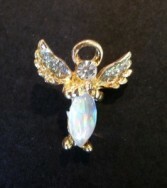 Let us pick out a Thoughtful Little Angel pin with a special sentiment to attach to your flowers. This little angel will compliment your card message and serve as a memorable keepsake for your loved one. 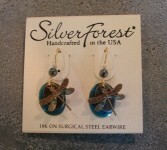 Hand made in Bellows Falls, VT, Silver Forest earrings are beautifully crafted and appeal to all ages. This is a perfect gift for anyone who loves earrings. 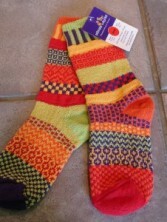 Solmate socks ate wildly popular here in the Upper Valley and locally made in Vermont. Creatively mismatched, they are made from recycled cotton and come in bright vibrant colors. Specify women's small, medium or large on your order. 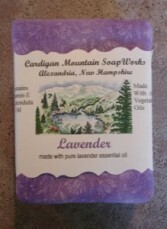 Locally made in Alexandria NH-just a few towns over from us, these soaps are a treat, beautifully packaged, long-lasting and naturally fragrant. Flowers convey a message that cannot be put into words. SAFFLOWERS of Enfield, NH provides a variety of fresh, fashionable floral designs to ensure that your gift is one of elegance and beauty. When you're looking for a unique hostess gift, token of appreciation or just a surprise to brighten someone's day, let SAFFLOWERS customize and deliver one of our many fun, decorative & luxury gifts! We create dazzling presentations that are sure to please for any gift-giving occasion. To get your custom gift items, come by and see SAFFLOWERS - your local Enfield, NH florist.